1918-1921 – Tambov State University (TSU). 1919-1921 – Workers’ Faculty as a preparatory department for TSU. 1921-1923 – Tambov Practical Institute of Public Education and Tambov Agricultural Institute (in 1918-1921 – Pedagogical and Agronomic Faculties of TSU). 1924-1931 – Tambov Interregional Workers’ Faculty. 1931 – Accession of Tambov Interregional Workers’ Faculty to Agro-Pedagogical Institute as its Preparatory Department. 1932-1935 – Tambov State Pedagogical Institute (TSPI). 1935-1938 – Teacher Training Institute. 1967-1990 – Tambov Branch of Moscow State Institute of Culture. 1990-1994 – Tambov State Institute of Culture (TSIC). 1994 – TSPI and TSIC merger, creation of Tambov State University by the Decree of the President. 6 March 1995 – Assignment of G.R. Derzhavin name to the University. At the beginning of 20th century extensive Tambov province, like the whole Russian Empire, was in need of skilled technicians. In January 1918 the provincial Zemstvo Assembly decided to open a university in Tambov. All daily activities were carried out by the Provisional Bureau (Board) of the "Society of Tambov University" (first Chairman – E. Bunin). Initially, the provincial authorities took the responsibility for maintaining the University. The University has been allocated premises for administration and educational buildings. On July 4, 1918 future Tambov University, like all higher educational institutions in Russia, received the status of the state university. In July-September 1918 it was subordinate to the People's Commissariat of Agriculture, and from September 1, 1918 it was transferred to the Department of Higher Education of the People's Commissariat of Education. On September 30, 1918 the Provincial Executive Committee allowed the Tambov University Administration Board to produce a round seal and a stamp with state symbols. On October 15, 1918 classes at two faculties of the university - Pedagogical Faculty (humanitarian, natural science and pre-school education specialties) and Agricultural Faculty began. On October 19, 1918 the Administration Board of Tambov University appointed the date of its grand opening. On October 27, 1918 in the Coliseum Theater (now the Regional Drama Theater) the solemn ceremony of the university establishment took place. On December 16, 1918 the People's Commissariat of Education decided to ask the Council of People's Commissars (CPC) to issue a decree on the establishment of a state university in Tambov. On January 21, 1919 the corresponding Decree of the Council of People's Commissars was signed by V.I. Lenin, which completed the institutionalization of the University. Tambov State University, among several other universities, was established by the Council of People's Commissars starting from November 7, 1918, which was dedicated to the anniversary of the October Revolution. Visiting and local professors, graduates of St. Petersburg and Moscow universities, formed the academic teaching staff (ATS) of the University (among them were future academicians, including philologist P.N. Sakulin and historian V.I. Picheta). Student body: 1918-1919 academic year - over 2.6 thousand students; including, over 1.4 thousand students at Pedagogical Faculty. On November 2, 1919 the University established Workers’ Faculty (by the summer of 1920 it had 166 students). 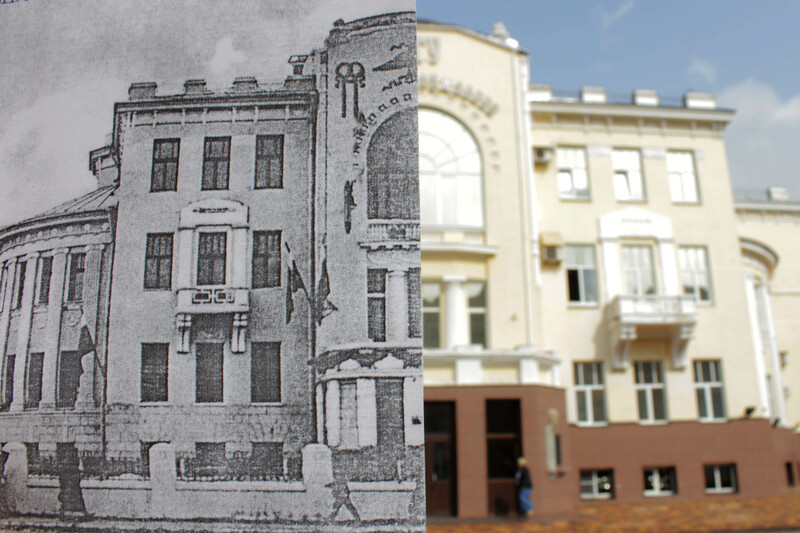 In November - December 1919 the Pedagogical Faculty was reorganized into Tambov Practical Institute of Public Education named after N.K. Krupskaya. The hardships of the Civil War led to the outflow of part of Moscow and St. Petersburg part-time professors and to the reduction of the number of students: 1920-1921 academic year - 280 students – Agronomial Faculty, 198 - Tambov Practical Institute of Public Education, 175 - Workers’ Faculty. On August 8, 1921 the People's Commissariat of Education made a decision to close TSU on September 1, 1921. Attempts of the University administration and local authorities to keep the university did not succeed. They were created as independent institutions by internal decisions and resolutions of the provincial authorities of August 26, September 15 and 17, 1921 on the basis of the Pedagogical and Agronomical Faculties of TSU. The goal was to preserve higher education, train specialists in agriculture and teachers. Student body: 1921 - 150 students were enrolled in TAI, about 200 in TPIPE. In the conditions of scant funding, part of the faculty began to leave as early as November 1921. The institutions worked two academic years. On June 3, 1923 TAI was closed. The Provincial Executive Committee and the University administration stood up for the preservation of TPIPE, but in the summer of 1923 it was also closed. During 1923-1930 Workers’ Faculty was the only institution in the Tambov region, which became interregional and quite large in 1924; in the 1920s 600 of its graduates entered higher education institutions. In 1930 local authorities opened an Agro-pedagogical Institute in Tambov with a three-year full-time study and correspondence department. Due to changes in the educational policy introduced by the Government, the Institute changed its status several times: 1932-1935 – a four-year pedagogical institute, 1935-1938 – a two-year teacher training institute, 1938-1994 – a four- then five-year pedagogical institute. The restoration of a full status was facilitated by the formation in 1937 of the Tambov Region as part of the RSFSR. The changes were accompanied by a revision of the structure and curricula which adjusted the main activity of the higher education institution (training subject teachers for comprehensive schools) to the needs of the education sector. The number of students was growing rapidly: in 1930 – 77 freshmen, in 1940 – almost 1200, and in 1941 – 1500. The academic teaching staff, whose initial core was made by professors of Voronezh higher education institutions, was gradually growing: in 1930 – 24 lecturers (17 part-timers), 1940 – 78, including one professor and 10 associate professors. The staff of Tambov State Pedagogical Institute passed through repression (rectors A.I. Abinder, A.I. Pussep, A.A. Khaustov were repressed) and withstood the hardships of 1941-1945. Hard work to raise funds for the Defense Fund amounting to 151,561 rubles for the construction of torpedo boats was greeted by the Supreme Commander-in-Chief I.V. Stalin in April 1944. After the end of World War II, TSPI ensured a continuous growth of students: 1945 - about one thousand students, 1950-1980 - approximately four thousand students each year. TPSI continued full-time, part-time and evening training of teachers. In 1980, in connection with the fiftieth anniversary of the Institute, TSPI was awarded the Order of the Badge of Honor. During the changes of the 1980s-1990s the Institute had eight faculties (historical; foreign languages; Russian language and literature; physics and mathematics; primary education; chemical-biological; natural-geographical; physical education). At that time the academic degree holder rate at TPSI was 50 percent and the staff was stable. Implementation of the idea of re-creation of the university belonged to V.M. Zubets, rector of TSPI, and V.М. Yuryev and L.S. Minchenko, vice-rectors of TSPI. In early 1993, TSPI applied for the transformation of the Institute into a humanities university, which was approved by the Order of the Ministry of Education of the Russian Federation of January 19, 1994. However, the establishment of a humanities university would preserve the existing range of specialties, which did not meet the needs of the market for educational services and labor. It was decided to promote the model of the classical university. The preliminary result was the June 1994 decision of the regional administration, the city administration of Tambov and the State Committee for Higher Education on the formation of the State University on the basis of TSPI and Tambov State Institute of Culture (TSIC). On December 29, 1994 the decree of the President of the Russian Federation on the establishment of TSU was issued. Professor V.M. Zubets was appointed Rector of the University and Professor V.N. Okatov, rector of TSIC, was appointed First Vice-rector of TSU. On March 6, 1995 the University was named after G.R. Derzhavin. The re-established University set the following key priorities: the creation of an adequate material basis, the development of new and traditional areas of training, and the improvement of the quality of the academic teaching staff and the quality of teaching. Student body: in 1995 – 7.4 thousand, in 1999 – 10.2 thousand, in the middle of the 2000s – 12.7 thousand, in the late 2000s - more than 14 thousand, in 2018 - 13 thousand. A little decrease reflects the demographic situation. At the same time, the losses have been compensated by increasing the number of foreign students (from 240 students in 2010 to 2,400 in 2018). The university educational structure today comprises 6 institutes, 3 faculties, 58 departments, more than 700 people of the academic teaching staff. The strength of Derzhavin University is the regional monopoly on training specialists in physical, mathematical, natural, humanitarian, social and political sciences, in the field of teacher education, health care and many other areas. The role of TSU has never been limited only to its basic activities. It has always played a huge role in promoting culture. It has also played a pivotal role as a key social institution in the region. Derzhavin University has been worthily keeping the intellectual and cultural bar - an indispensable attribute of the progressive development of the region.